I have never quite had the urge to go out and get a controller just to play games on my phone. Such games have been casual for me and a controller somewhat takes it beyond that casual range. 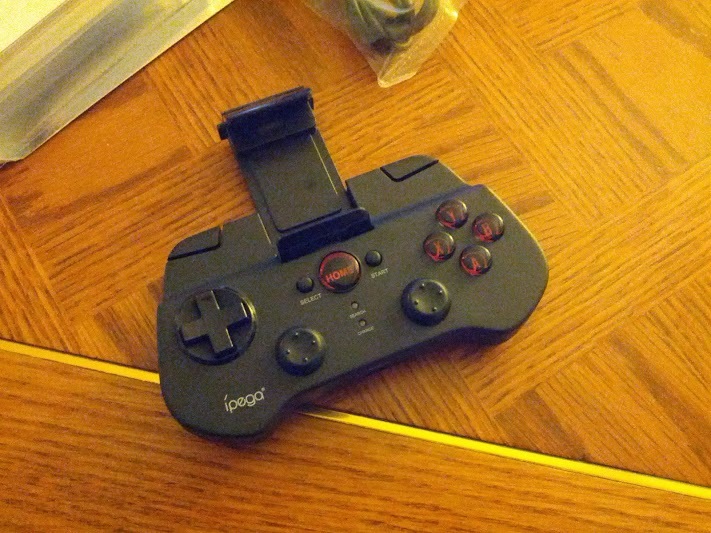 However I always wanted to try one out in order to run emulators on my phone and just this past week I received the ipega Bluetooth Controller. The box is a standard plastic one – the kind you would see hanging in a store. 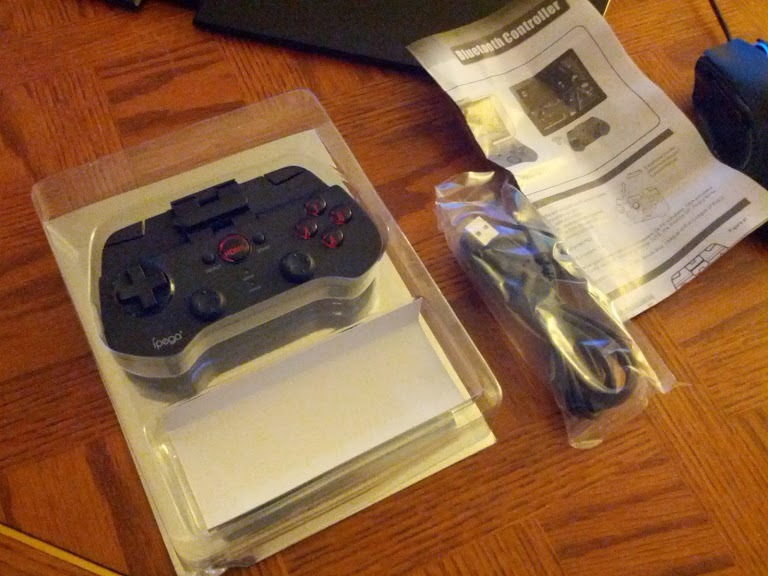 It contains the controller and a USB charging cable. The back of the box has button layout and pictures of the controller being used with a Samsung phone, HTC phone, Android tablets and iPads. On the side it does note that it can be used with iOS / PC and Android games. Being a bluetooth device, of course it is flexible. I wish it also came with a list of compatible games but I realize that would require immense testing on their end and they are rather trying to be generally adaptable with the controller. 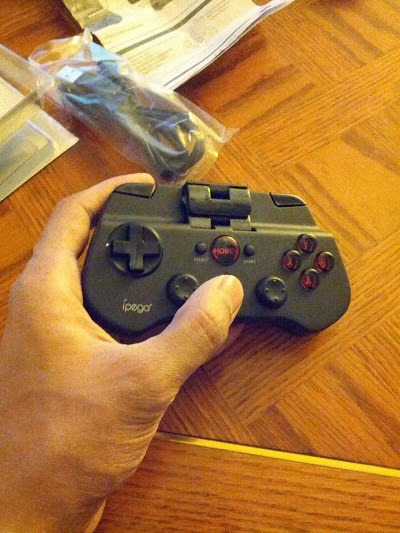 Since I have been used to using a Xbox controller for so long, the ipega felt too light in my hands for me. But it was a good fit and gripping it was easy. The back is flat though and some gripping depths for the fingers would have been nice. The buttons press well even though they feel plasticky. But once again in comparison to what my hands have been adapted to. The analog sticks on the other hand were pretty darn hard to use and coordinate. The feel of them moving just wasn’t right. I almost see them as an unnecessary addition but ipega probably included it as a sort of ‘why not’. The controller has an extendable grip on the back to hold your phone. At first I was pretty unsure about pulling to put my Galaxy Nexus in but it extended fine and gripped the phone strongly. It did leave me somewhat uncertain though of the long term durability of the grip. It required me to pull quite a lot for just the Galaxy Nexus and there are larger screened phones out there. One more aspect which is a glaring decider of game orientations is that the controller is only meant for landscape games. For portrait ones you would have to keep the phone separate from the controller. Game compatibility can be a hit or miss. I tried out a bunch of free and premium games. Some worked out and some didn’t. With some there was also a slight noticeable lag. On using emulators though the controller was solid golden. I had no issues running titles from Super Mario Bros, Mario Kart to Pokemon. I actually enjoyed it a lot – more to do with the nostalgia and awesomeness of running these fantastic games on the phone. But the controller made that experience that much better. 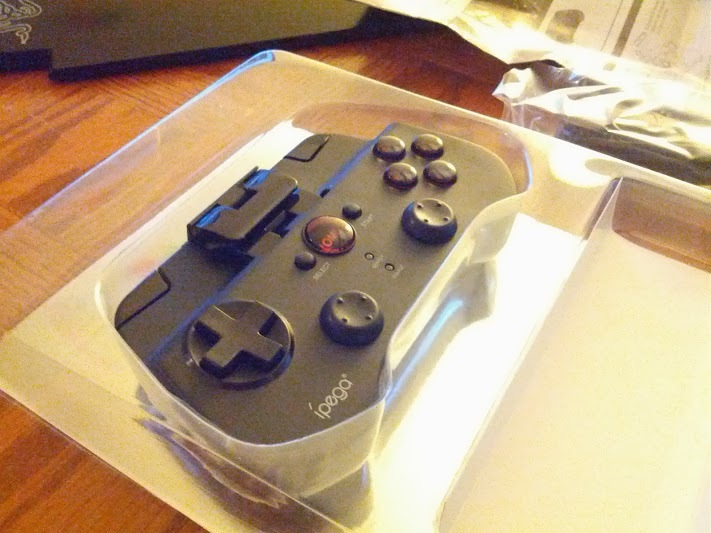 An interesting note – the controller started to feel like the original SNES controller. The controller being used for emulators would be the biggest reason to buy it. I think it is cheap enough to try it out. If you are intending to buy it to play other games though – be prepared for a hit or miss experience. If you have a Samsung Galaxy Note 3 and are looking for essential accessories, click here!